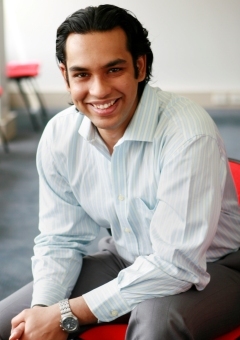 Karan Mitra is an Assistant Professor at Luleå University of Technology, Sweden. He received his Dual-badge Ph.D. from Monash University, Australia and Luleå University of Technology in 2013. He received his MIT (MT) and a PGradDipDigComm from Monash University in 2008 and 2006, respectively. He received his BIS (Hons.) from Guru Gobind Singh Indraprastha University, Delhi, India in 2004. His research interests include quality of experience modelling and prediction, context-aware computing, cloud computing and mobile and pervasive computing systems. From January 2012 to December 2013 he worked as a researcher at CSIRO, Canberra, Australia. He is a member of the IEEE and ACM. Links: Research page and list of publications; ResearchGate Profile; LinkedIn and my university page. My current research focusses on Cloud and mobile Cloud computing, Internet of Things (IoT), heterogeneous access networks and Quality of Experience (QoE). [02-01-19] Article titled “Performance Evaluation of FIWARE: A Cloud-Based IoT Platform for Smart Cities” accepted in the Journal of Parallel and Distributed Computing Systems, Elsevier. [04-11-18] Article titled “Implementation of a Real-Time Network Traffic Monitoring Service with Network Functions Virtualization” accepted in the Future Generation Computer Systems Journal, Elsevier. [16-09-18] Article titled “Category Preferred Canopy-Kmeans based Collaborative Filtering Algorithm,” accepted in the Future Generation Computer Systems Journal, Elsevier. [15-12-17] Conference paper titled “Opportunistic Data Collection for IoT-Based Indoor Air Quality Monitoring,” accepted and presented at the International Conference on Internet of Things, Smart Spaces, and Next Generation Networks and Systems. Congrats Aigerim! [15-12-17] Conference paper titled “DisCPAQ: Distributed Context Acquisition and Reasoning for Personalized Indoor Air Quality Monitoring in IoT-Based Systems,” accepted and presented at the International Conference on Internet of Things, Smart Spaces, and Next Generation Networks and Systems. Congrats Tamara! [24-12-16] Conference paper titled: “A Bayesian System for Cloud Performance Diagnosis and Prediction”, accepted to the presented as a demo at the 8th IEEE International Conference on Cloud Computing Technology and Science (IEEE CloudCom 2016), Luxembourg. (pdf). A longer version of the working paper can be found here (pdf). [23-12-16] Gave a keynote talk at the International Research Workshop on Cloud Computing 2016 (RWCC’16), Jawahar Lal Nehru University, New Delhi, India.